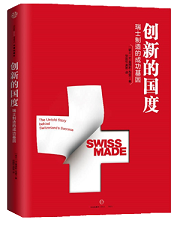 SCS is not only a platform providing Swiss SME’s facilities, China experts and practical services to facilitate entry onto the Chinese market. It also creates visibility towards Chinese authorities, potential customers and suppliers. With hands-on experience and activity in China, SCS has developed specific expertise in the production of communication material aimed at the different Chinese consumer groups. SCS encourages the creation of cost-effective, customized solutions to improve marketing ROI towards definite Chinese focus groups. Be it a company brochure or a product brochure design and/or print, SCS can help throughout the entire process. Providing corporate identity and graphics requirements, photographs and copy, SCS will ensure quality and timely production.